Surgeons invest great amounts of time and money to learn and master their profession. In turn, the prices they charge are meant to compensate them for a lifetime of knowledge in this highly technical field. Keep in mind that a surgeon will use all their medical knowledge when performing the surgery. During this time they will create an incision along your nose in order to expose the nasal bone and the accompanying cartilage. Once they have access to this, they will begin to blend medicine and art by intricately sculpting your nose in order to produce a stunningly beautiful effect. Then once this is complete, they will stitch you up and expertly bandage the surgical site so there will not be any noticeable scarring. The surgeon is not the only piece of the puzzle involved in getting you the nose you deserve. There are a host of other people involved, and one of the most important of these is the anaesthetist. This doctor is in charge of sedating you and making sure your pain is managed so you are comfortable. In doing so, the anaesthetist will continually monitor you during and after surgery, until you are fully conscious and awake. Additionally, they will make recommendations to your attending surgeon regarding further pain management medication. Dr Michael Barakate is an Ear, Nose and Throat Surgeon with expertise in rhinoplasty. Dr Barakate is a member of the Australian Society of Otolaryngology Head and Neck. 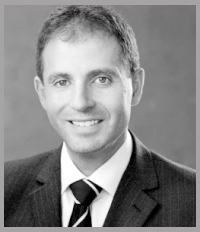 Michael has over 15 years surgical experience including dual fellowships from the Royal Australasian College of Surgeons (ENT, General Surgery) and international experience in Rhinoplasty from Oxford, UK (2005) and The University of Michigan, USA (2010). He has an ongoing commitment to education and research and has lectured and published nationally and internationally. He is actively involved in ENT specialist training and medical student teaching at the University of New South Wales and frequently presents ENT update courses to General Practitioners and Specialists. Michael’s practice in Sydney has a referral base from all areas of NSW and has a reputation for compassionate conservative patient care, surgical expertise and outstanding service and availability to practitioners. Rhinoplasty surgery is better known as plastic surgery of the nose, cosmetic nose surgery, nose reshaping or nose job surgery. Rhinoplasty is a surgical procedure that involves reshaping the nose. It can be either a cosmetic procedure performed to improve the appearance of the nose, a medically necessary procedure to improve nasal breathing, or a combination of both. Rhinoplasty surgery may be performed alone or in combination with other procedures for better breathing – like nasal septoplasty, turbinate reduction surgery and endoscopic sinus surgery. Rhinoplasty may also be performed together with other cosmetic procedures to improve appearance – including facial rejuvenation procedures. The goal for the surgeon is to create an aesthetically pleasing nose that functions well for breathing and is balanced with the rest of the face. We specialise in Rhinoplasty to restore harmony and balance to the face, and to improve your nasal breathing and sinus function. We start your Rhinoplasty assessment with a thorough and thoughtful consultation. We do not settle for anything but our personal best. We seek to provide complementary skills focusing on both aesthetic and functional factors. With our deep understanding of anatomy of the nose and sinuses and combined technical experience we seek to achieve excellent results for both appearance and breathing. Our rhinoplasty specialists aim to give you the result you are looking for. The appearance of the nose is very important, as the nose is at the centre of the face, deformities of the nose are impossible to hide. While functional nasal problems with breathing, snoring and sinus conditions significantly impact quality of life. ‪As needed our rhinoplasty specialists offer either closed (endonasal) or open structure rhinoplasty techniques to address nasal problems and bring the nose into harmony with the face.